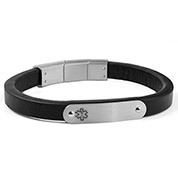 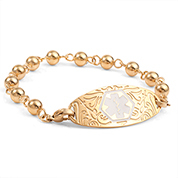 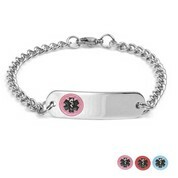 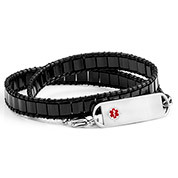 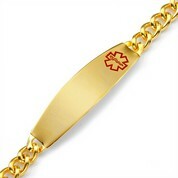 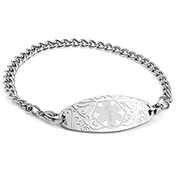 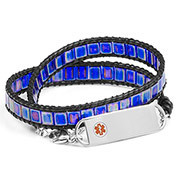 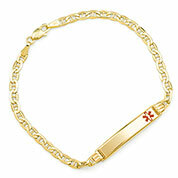 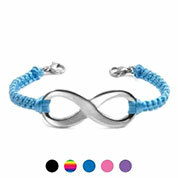 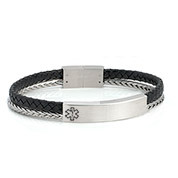 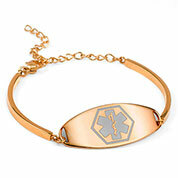 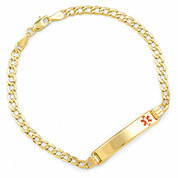 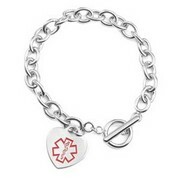 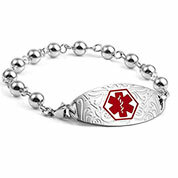 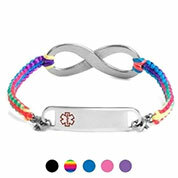 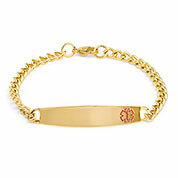 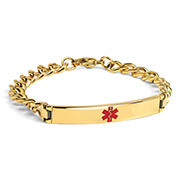 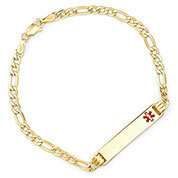 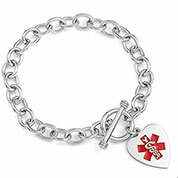 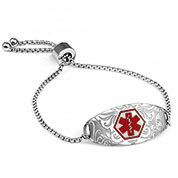 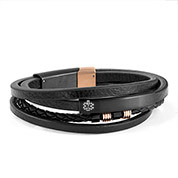 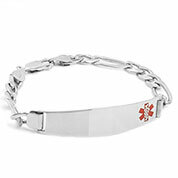 We carry medical bracelets for women in trendy styles that look great with business casual, relaxed, or evening wear. 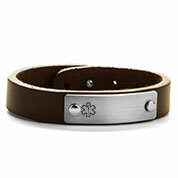 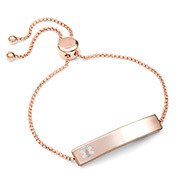 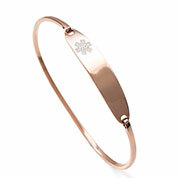 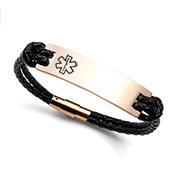 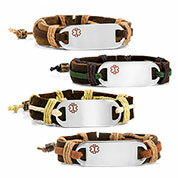 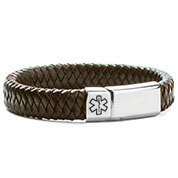 Choose from elegant rose gold and sterling silver to durable leather and lasting nylon medical bracelet selections. 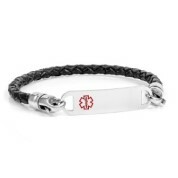 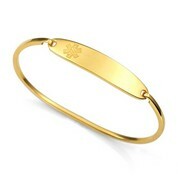 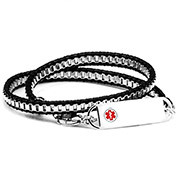 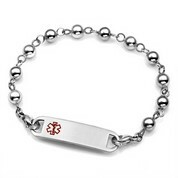 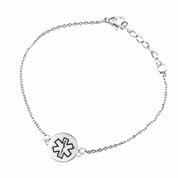 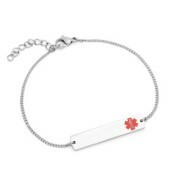 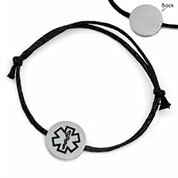 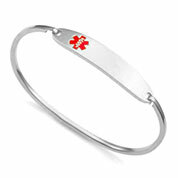 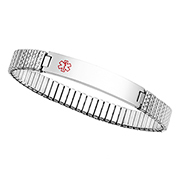 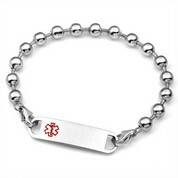 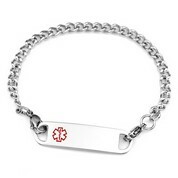 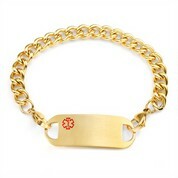 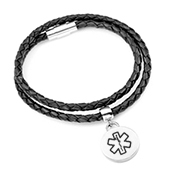 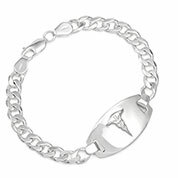 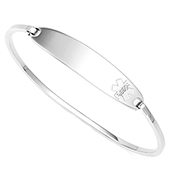 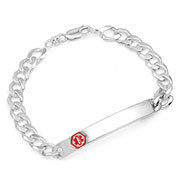 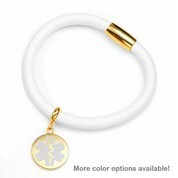 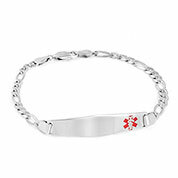 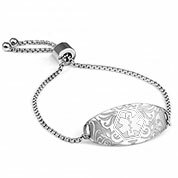 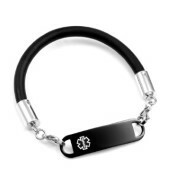 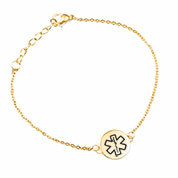 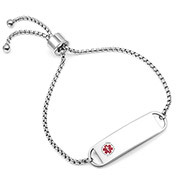 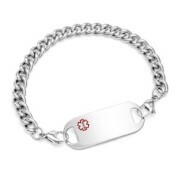 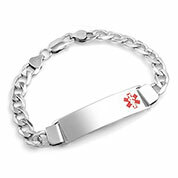 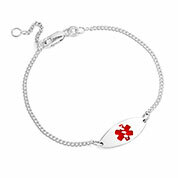 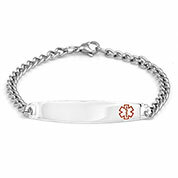 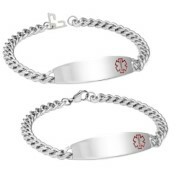 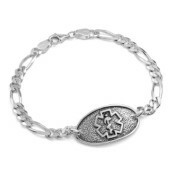 Minimalist medical bracelets for women are available with simple charms and attractive bar pendants. 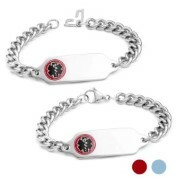 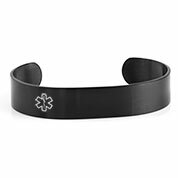 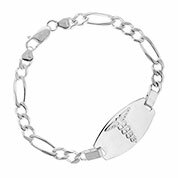 We can add custom engraving with your unique medical care instructions to the front or inside of the majority of our bracelet styles. 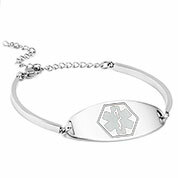 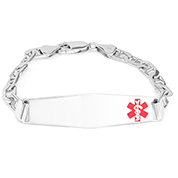 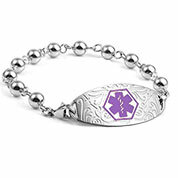 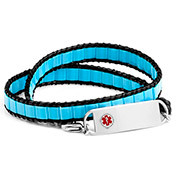 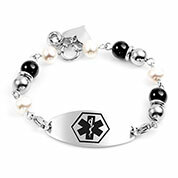 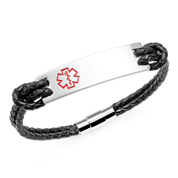 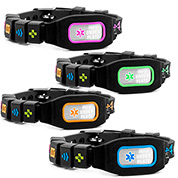 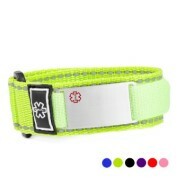 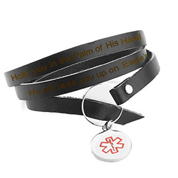 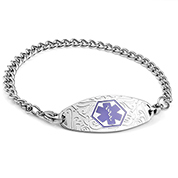 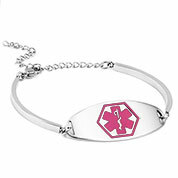 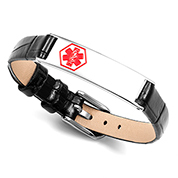 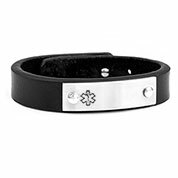 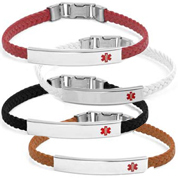 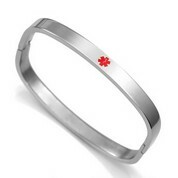 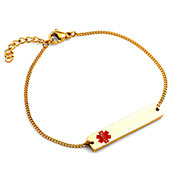 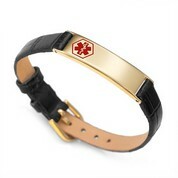 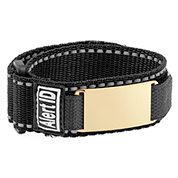 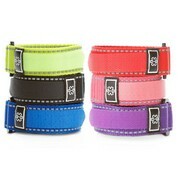 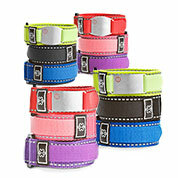 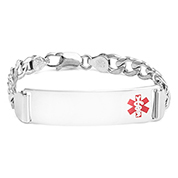 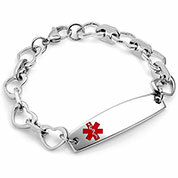 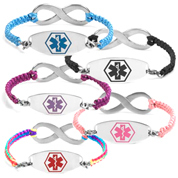 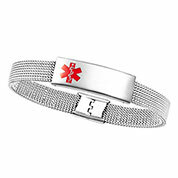 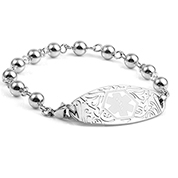 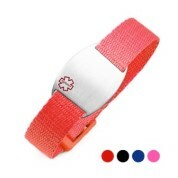 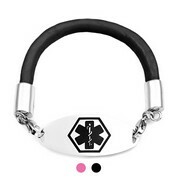 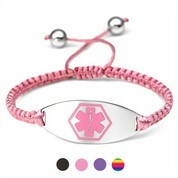 Our medical alert bracelets for women are a great choice in comfort and safety!